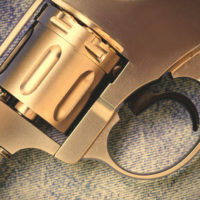 New Jersey is one of 10 states that will not honor concealed carry permits issued outside its borders; instead, in order to get a permit to carry a concealed weapon in New Jersey, one must demonstrate that there is a “justifiable need,” or good reason to believe that your life or the life of someone you love will be put in danger if you do not carry a gun at all times. However, current legislation in Congress requires that all states recognize concealed carry permits that are issued outside of their borders (similar to drivers’ licenses), and this could very well affect gun and weapons charges in the state of New Jersey if passed. President Trump has already signed into law legislation that blocks the Social Security Administration from reporting the names of those mentally incapable to the database used for background checks. Congress and the President are now expected to pass numerous additional pro-gun bills into law, as gun rights groups like the National Rifle Association reportedly spent $53 million last year to help elect the GOP candidates. Meanwhile, Democrats and members of law enforcement like the County Sheriffs Associations are playing defense in trying to block these types of laws, instead pushing for laws that will strengthen gun safety laws. Yet others, such as GOP Rep. Tom MacArthur—one New Jersey lawmaker supporting the concealed carry bill—support the legislation because they claim that gun owners shouldn’t have to fear being arrested simply because they’ve crossed into the state of New Jersey’s borders. In New Jersey, any person who knowingly has in their possession any handgun without first having obtained a permit to carry it is guilty of a crime of third degree. Anyone who has in their possession a machine gun or any similar instrument or device without being licensed to is guilty of a crime of the second degree. Violating the state concealed weapon law can result in facing a prison term of three to five years. If you have been accused of a gun and/or weapon charge in New Jersey or New York, you could face several years of incarceration. You need to speak with an attorney as soon as possible in order to preserve your defense. Contact the law office of Phillip J. Murphy today for a free legal consultation. We serve clients in and around Bergen County, and we are prepared to assist you with your case immediately and protect your rights throughout each step of the way.